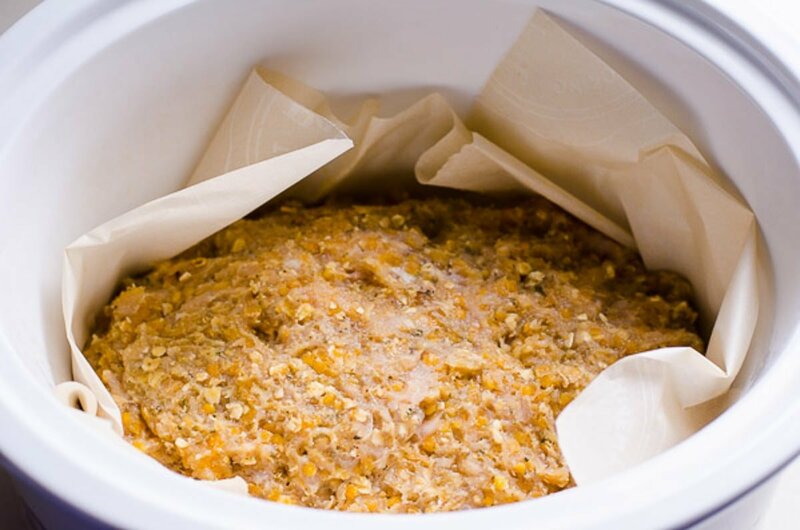 What I like about this slow cooker turkey meatloaf is that it’s lighter on meat, “beefed up” with red lentils, and contains zero breadcrumbs that are successfully replaced by oats. I love substituting some of the meat with lentils or beans in traditional recipes (on my to do list is half lentils bolognese sauce) because they help cut back on meat for health and budget reasons. 1/2 cup of red lentils is just the right amount for this slow cooker turkey meatloaf to add fiber and yet not to overpower the turkey. If you plan ahead well (better than me – I will get there) and add a cup of squeezed zucchini, your meatloaf will be the juiciest! 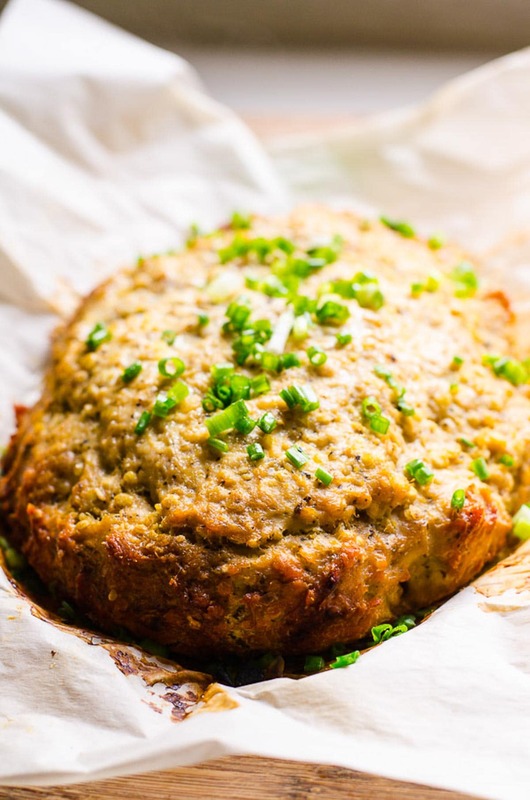 If you are new to cooking meatloaf in a slow cooker, it works just like in the oven just a different shape. 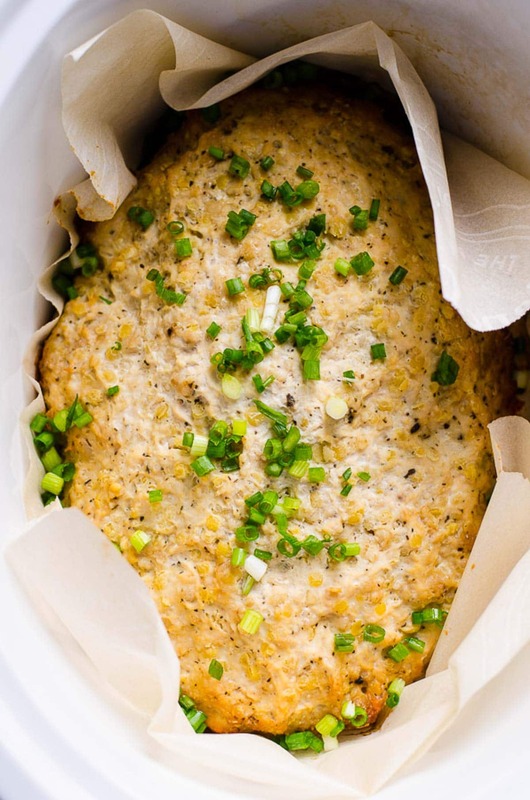 You could place loaf tin with meatloaf inside the slow cooker on top of parchment paper for rectangular shape meatloaf. 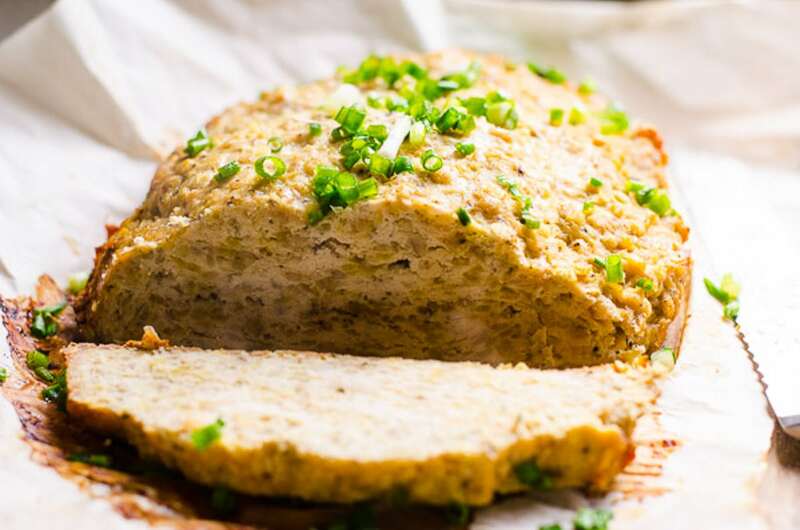 The biggest piece of advice I can give you when it comes to making poultry meatloaf – DO NOT use lean meat like breast or extra lean ground meat. However, I did by mistake and my boys were still squeaking with pleasure. 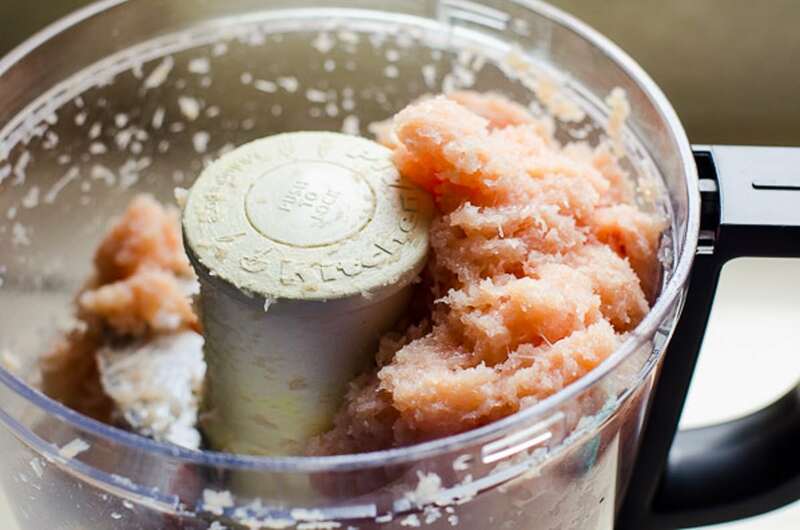 You can also grind your own meat. Enjoy! For similar recipes, check out my mini turkey meatloaves with chipotle sauce, Thai turkey meatballs and slow cooker porcupine meatballs. 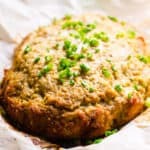 Slow Cooker Turkey Meatloaf Recipe made healthy by replacing some of the meat with red lentils and breadcrumbs with oats. You can also use chicken. 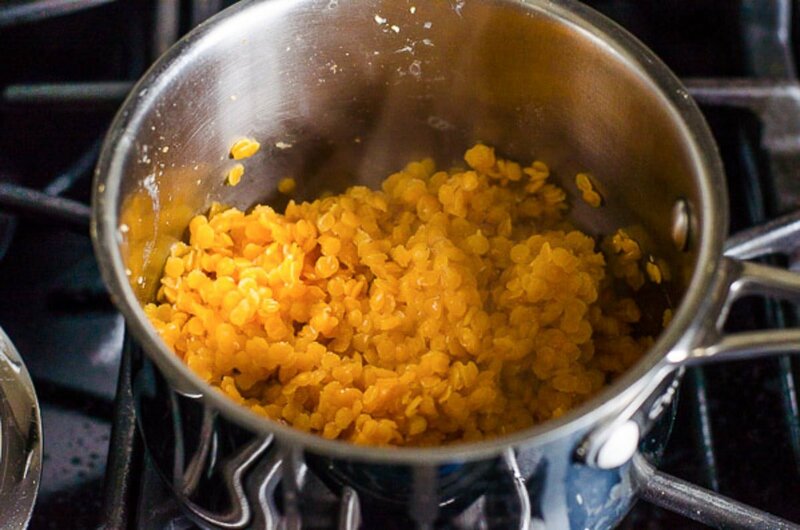 In a small saucepan, add lentils and water. Bring to a boil, cover and cook for 5 minutes. 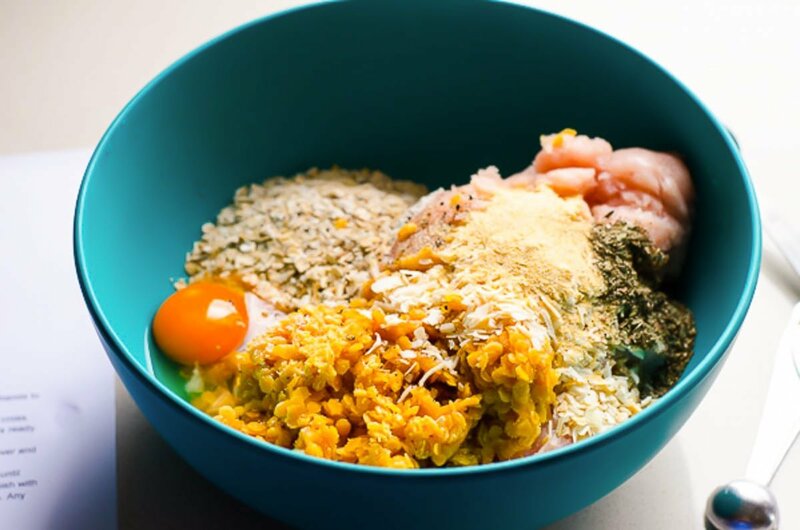 Transfer to a large bowl along with all other ingredients and mix well with your hands. Line slow cooker with unbleached parchment paper and spray wit cooking spray. Transfer meat mixture and form into a meatloaf shape. Cover and cook on Low for 6 hours or on High for 3 hours. Holding onto the parchment paper flaps, remove meatloaf and slice. Serve warm or cold with a grain of choice or salad.? Freeze: Fully cook, cool completely, slice and freeze in an airtight container for up to 3 months. Thaw in a refrigerator overnight. Reheat in a microwave or in the oven at 375 F for 10 minutes. *Use fattier cuts of meat like chicken thighs and do not use breasts. Use ground turkey that is not extra lean, otherwise meatloaf will be dry. **With zucchini, meatloaf will be more lighter, softer and juicier; however, I tried without and it turned out very good as well.